Work at the site started in spring and tenants will be able to move into their new homes in November. The nine two-bedroom bungalows are an extension to the original development, which was completed in 2005, and a short walking distance from the market town centre. Prospective buyers for the final property, and for other available properties at other locations, can contact Morris and Co Homes on 01743 246000 or email philippa@morrisandcohomes.co.uk. 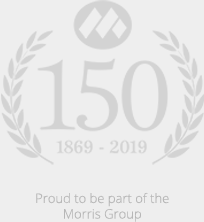 Part of the Morris & Company property division, Morris & Co Homes’ heritage in Shropshire dates back to the 1930s. The division is known for the quality of its developments which ranges from town houses and mews cottages, to apartments and beautifully renovated homes.